I wanted to make another recipe from Dorie Greenspan’s Baking Chez Moi called “Crispy-Topped Brown Sugar Bars.” She said that it can be made one of 2 ways: 1) by using Rice Krispies straight out of the box, or 2) by putting just a little more effort into it and caramelizing Rice Krispies first. I decided to go the extra mile (which really felt like a few extra steps) and cook some Rice Krispies! 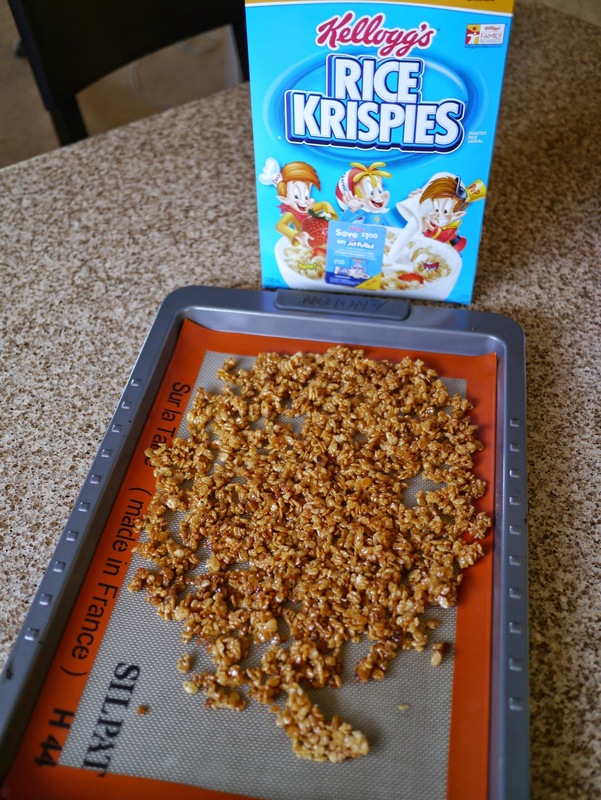 I had never thought about caramelizing cereal before, but it works! 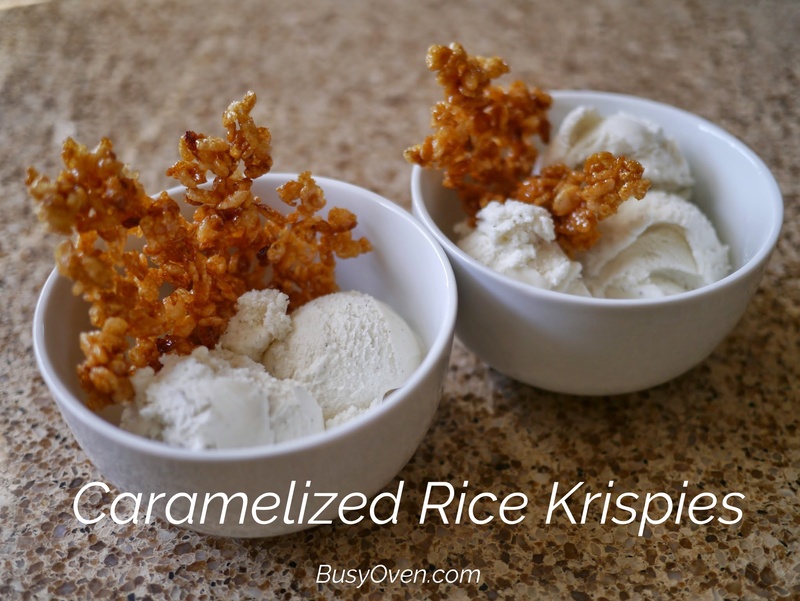 The extremely crispy, crunchy, caramel-y Rice Krispies are so good with plain vanilla ice cream! Thank you Dorie! Caramelized Rice Krispies Recipe on page 428 of Baking Chez Moi.